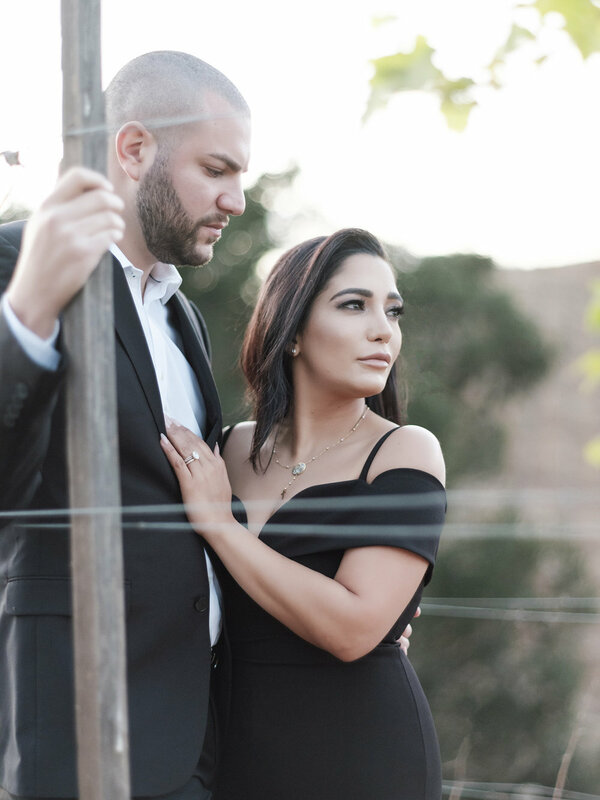 Describe the moment he proposed: The day Arvin proposed was above and beyond MAGICAL! I truly couldn’t have dreamed a more perfect night. The moments leading up to the proposal, my legs were so numb. The night it happened, I was walking into the house and I had this indescribable feeling... I just knew what was going to happen. When I opened the door and saw him standing there...I saw my whole life with him. The best part of it all was he made sure all my closest friends and family were there to share in our magic moment. 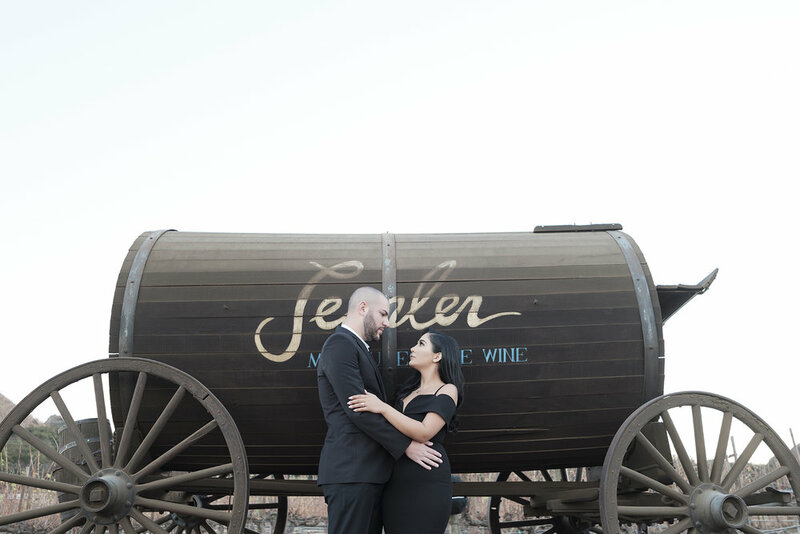 Describe your experience with finding the perfect location for your PreWedding Session: Honestly, we went through a lot of locations before actually picking SaddleRock Ranch in Malibu. We knew from the beginning, that we wanted some thing playful yet romantic and this was the perfect location. There was a little bit of every thing at the ranch. What are your recommendations/tips for couples before/during their PreWedding Session? Just stay on top of it! Unfortunately, we put this photoshoot on the back burner and it bit us on our butts when we had to rush every thing last minute to prepare. Make sure you plan for your session and book your date in advance and stick to it. Also, when you are picking a location, try your best to choose a location that complements both your styles. Don't stray to far from who are, because you will cherish these precious images for a lifetime and when you look back on your PreWedding Session, you want to make sure you see yourselves. And most importantly, just relax during your session, and have fun with the process...just let Rene and his team do their thing! Interesting/fun facts about the couple or session: Crazy enough, Arvin & I have been in the same group of friends for over eight years but some how managed to not say a word to each until years later. Sometimes the person you are looking for is standing right in front of you, and you just don't know it until the time is right.